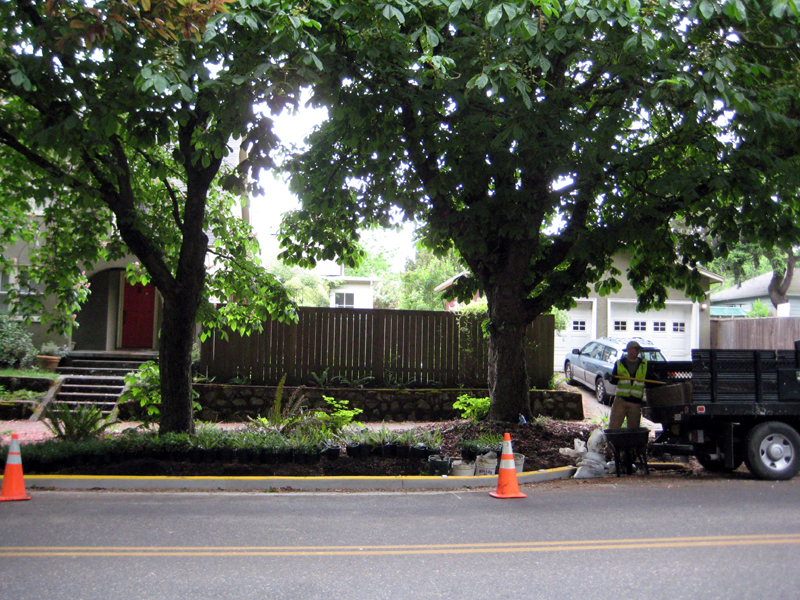 7th Ave Green Street update: Plants! 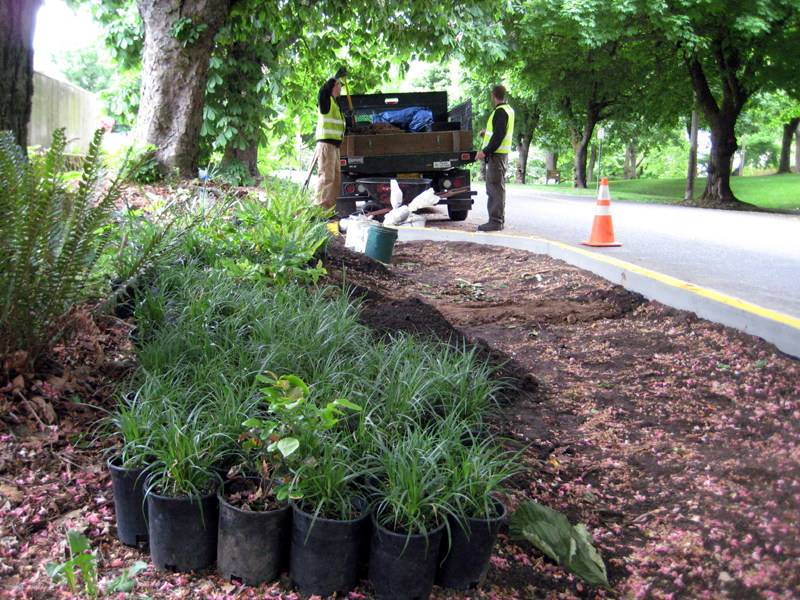 Workers from the Portland Parks department came by Portland’s newest Green Street on Wednesday, 5/21 to add some finishing touches, including plants. 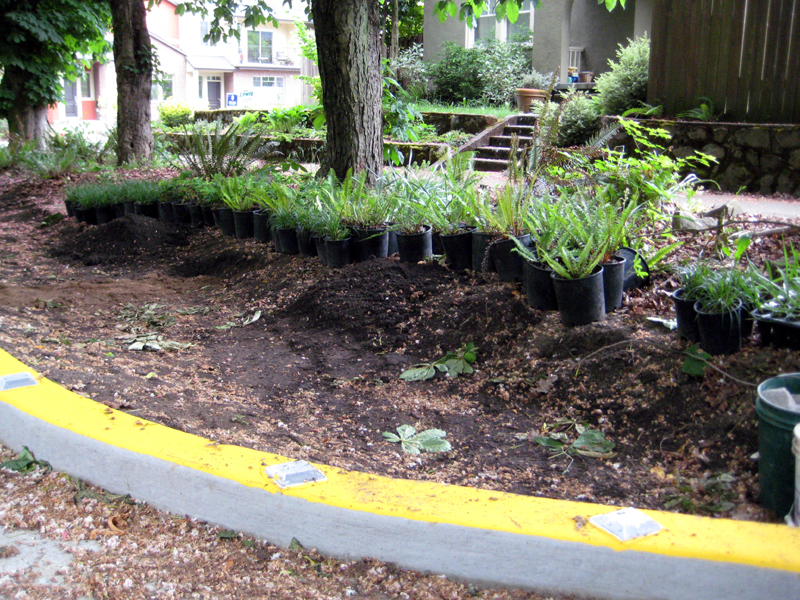 The Green Street’s filtration swale is planted largely with grasses and also includes ferns and Oregon grape, among others. 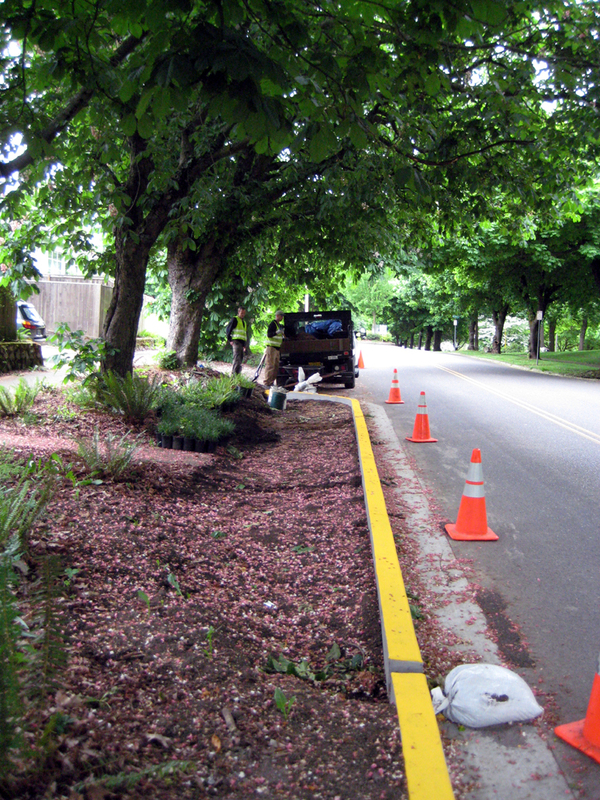 City workers also shaped the swale by adding river rock at the inflow to slow water velocity. Two “check damns” where also created. These low berms, constructed of clay and river rock, cut across the swale, further slowing stormwater runoff so it can better soak into the soil.